Here are 100 Money saving tips for student sin USA. 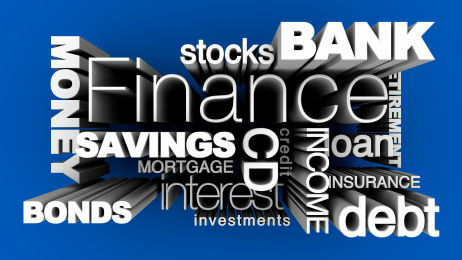 Let’s talk about saving money, personal finance and money management in USA. Money management skills are not taught in schools. You will have to pick-up money management skills quick and fast to avoid getting into debt. Open Online Savings Account to deposit money over $2000. Most Checking account doesn’t pay interest. Savings account offered by traditional banks give less than .25% interest. Always looks for deals before buy any product and shop online. Before placing order, find additional coupon code. Find a job and apply for SSN. Apply for Credit Card as soon you you get SSN. American Express Blue for Students, Citi Student Cards are good place to start. Don’t apply for multiple cards. One card should be enough to get started. Use the credit card to make day to day purchases. Use your card only if you have money in the Checkings account. Pay your entire card balance in every month. Using credit cards builds your credit history. It’s not a good idea to carry balance in credit cards. Understand how credit card payment and interest rates are calculated. Understand how credit scoring system works. Spending time to learn about credit score will save you lot of money in long run. Don’t apply for too many credit cards for zero percentage APR or balance transfer. Create a spreadsheet using Google docs and share among roommates. Open one account that has ATM near your campus. Free Checking account will not pay any interest. If there is nearby credit union, check if they have interest paying account. Right now you can get 0.75% to 1.0% interest in some account types. You can always find coupons and deals for the product you plan to buy. If you don’t find a deal, keep looking for deals. Have a list before going for shopping. Don’t go for shopping when you are hungry. Coupons combined with weekly sales = SAVINGS! Take seniors with your for first few trip to grocery store. Don’t try to save on essential food items. Use Unit price to compare prices. Make a list and track the prices. Some items will have lower prices during certain times of the day. Look for quick sale rack for close out items. Unplug chargers, unused electrical items from power outlet. Save 5% of your electric bill. Look for services you don’t use in the bill and remove them. Always read the fine print before you sing-up for any service. If you making big ticket purchase, know the return/refund policy. Buy clothes/dress ONLY during sale. Don’t get caught downloading movies, songs and software. Don’t try to save money by not taking Health Insurance coverage. If you are sick go to hospital. Don’t try to save money by not going to hospital. University campus will have a medical clinic. Membership club will have samples to taste. Try it before buying new items. Earning money through business or from quixtar is violation of your status. Always there will be an alternate brand with lower prices. Don’t use same username and password for all websites. Have 2 to 3 sets of usernames and passwords. I use LastPass to save my passwords. Don’t carry SSN card with you. Don’t waste hours of time to save few cents looking for deals. Use your common sense approach towards money, personal finance. For new students and others visiting USA for the first time, life will look overwhelming. These 100 money saving tips for students (and others) should set you on the right track. When you are not sure about anything ask for help. Sometimes small mistakes can be expensive. If you have additional tips, please share it with us in the comment below. Really, this is very useful information for who willing to study in abroad. And thank you for sharing this information.. Mr.Raghu..
you came up with some really great tips, I think. For a students saving money is quite a difficult task. Hope following your advice, they can save money well now. Nice tips from the article itself, and more from the comments. However, i do have a pressing question. I’ve got an upcoming US visa interview in Lagos, Nigeria and was wondering if my visa grant would be affected based on the fact that my resignation at my last office has not been accepted, even 6 months after. I thought of skipping my employment there but two of my previous trips were sponsored by the said office. Would this be a problem please? Never carry money in wallet. I lost 1100$ when I came to US on a Business tour. You can actually survive with 30$-4 days or 20$ for lunch as well. Your expenditure depends on the way you prioritize . make sure you get a TA or RA . If you are living with 4-5 mates, you can buy furniture from IKEA and there are malls for buying home stuff in bulk.It is always advisable to have 1000-1500$ in reserve .Be careful before calling 911.My friend suffered from stomach ache in the middle of night and they called 911 and called doctor and ended paying 500$ for 911 and 150$ for doctor. he was alright by the time doctor came to visit.they came back to home paying 10$ to CAB. Thanks HSB , this is very helpful. abstain from cigarretes & alcohol. that will save ur money, health & parent's trust as well. I really have got pleasure by reading the post '100 money saving tips in USA'. 1) Many universities have some organisations/student bodies which offer free lunch or free pizza once or twice a week. Usually you can see their banners near student center buildings. Try eating there as you will taste different type of american food as well as chance to make new friends as well as save money. 2) Always visit the stalls of some expo/fair going on in universities. You can get T-shirts, diaries, pens for free. just grab them. 3) In walmart, similar products can be priced differently. Always look for GREAT VALUE products/cans. They are produced by walmart only so great value ketchup or great value bread is the cheapest. 4) If you are not satisfied with any product, always come and return it. You get full money back. 1) Always make it sure that your apartment is walking distance from where your classes are held or close to bus stop if your university has free bus transit service. This will save your time, money and also you will be able to come home for lunch,rest . 2) Never buy anything from university bookstores as they r more expensive. Stationary products can be purchased from walmart and books online. 3) Try to learn how to make food as quickly as possible.make food in bulk at night tinme so that you can eat the same dish as lunch next day also. Eating outside is extremely expensive as compared to the cost of making food at home. I INTEND TO COME TO U.S SOON FOR MY MASTERS DEGREE PROGRAM. I AM IN DARE NEED OF SPONSORSHIP CAN I COPE IF I WORK N SCHOOL? I HAVE GOTTEN THE ADMISSION ALREADY. Open Amazon Sellers Account. Try selling your used books there. You may get better rate. Those are very useful tips. However I have a question. I am planning to buy a laptop in U.S as I have heard that they give genuine software and also it is much cheaper there. Can you please advise what should I do. Should I purchase one in India or should I continue with my plans. Buy laptops and other electronic items like cameras etc. in USA. They are cheaper here as compared to any other country. i think to obey these advices a person should have practice. regarding the credit card and checking its history be careful to use legitimate websites.you can view your history thrice every year. if you dont have enough balance do not fall for any damn free credit card offer even if it is mailed to you and has any sugary words in it. about the car it is not a must..if bus service is available it is free for students in almost every state and buses do take time but saves money. never buy a car on sharing basis because plans can change and then relationships change , leaving you in a fixed position. try to save money in whatever way it is possible, you could always find thrift store and salvation army stores for certain items so no need to buy new ones..such stores have used items but in good condition and they have student discounts too..
thanx a lot to HSB team.The tips which are given by you are very helpful to me. My another question is I am of age 17 and I will be writing my SAT exam on DECEMBER 4th. So will my course be of graduation or under graduation in the US. What is the difference between graduation and under graduation. If u r taking SAT, u r going to get ur under graduation(i.e bachelors)studies not graduation. Under graduation in US is a four year course. Only after ur under graduation is completed, ur status will be of a graduate student i.e u will be able to say dat u hv done ur graduation if u have done ur undergraduate course. Once completed u will be called graduated. In many universities u need to take GRE for getting admit in post graduation i.e masters. Sorry to correct you and maybe you are referring to the Indian system but in US Masters is considered to be a graduate level program. Exactly, I was confused about the Indian and the American system. I will try to implement these for sure. Hey i have one question what is the average pay for an undergraduate student i want a quick reply as soon as possible. It is for a research or teaching assistant. good work HSB!! i am planning for spring 2011 may be your tips are really helpfull to me. This is very helpful tip.